This is a guest post and a curated list of podcasts by Wonder Media Network. 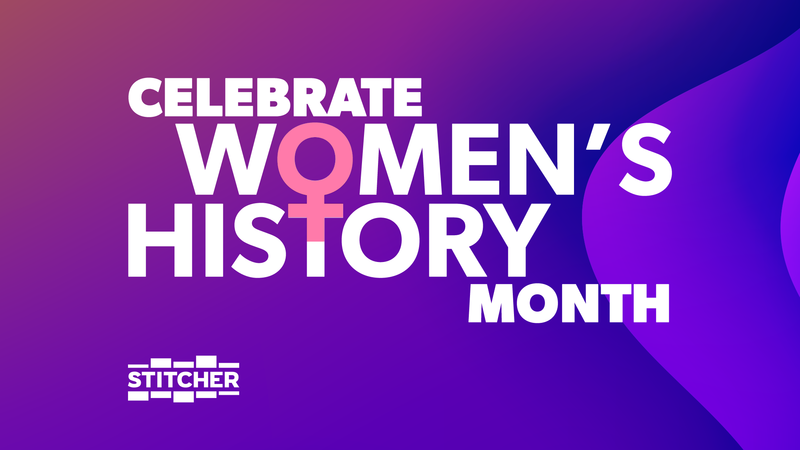 As a podcast company focused on telling the stories of underrepresented voices — and led entirely by women — we are very excited for Women’s History Month! At WMN, we revel in the brilliance of women’s voices in the space, and at the same time mourn the incommensurate recognition of those voices in the top charts. When we started the company last summer, we questioned the source of the problem: Are there not enough women creating podcasts or are they simply not appropriately lauded? Today, all month, and every day, we celebrate the incredible diversity of women’s voices — as complex and varied as women are. Here are some shows that we think celebrate the timbre, tone, and range, both aural and philosophical that women bring to the table, and hope that with your help we can make these fantastic shows trend! Happy Women’s History Month! Wonder Media Network is a pioneering audio-first media company that uses stories to inspire action, to promote equality and justice, and to introduce empathy into politics, business, and culture. You can also find this curated list in the Stitcher app by going to the Women’s History Month section in the browse tab.